Omni Cable 23/4P Enhanced Cat 6 twisted-pair data/voice cable has yellow low-density polyethylene jacket to withstand harsh environmental conditions. The high-density polyethylene insulation resists electrical leakage and offers protection against environmental threats. This water block tape cable has outside diameter of 0.236-Inch. This bare copper cable is suitable for high speed horizontal cabling, 100 Mbps TPDDI and digital video. 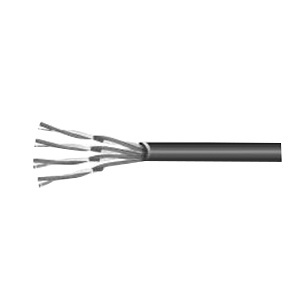 Cable is ETL/UL listed and meets EIA/TIA 568, ISO/IEC 11801 standards.